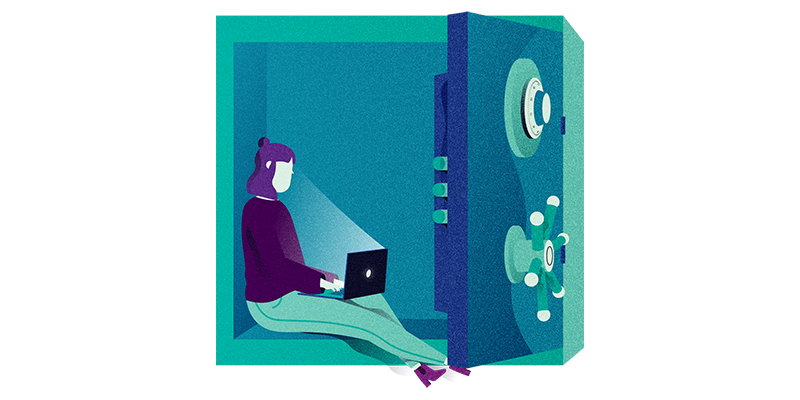 An extensive manual to protect yourself online 👨‍💻, written with the help of six hackers and understandable by anyone. Would you recommend Watch Your Hack to a friend? Thorough, easy to understand, ideal to send to your mom. This guide is great for novice users. Everything you keep telling your mom and more. I've been sharing the Dutch version with every non tech-savvy family member I have. Saves moms worldwide. Stefan has used this product for one month. Happy to see this in English now! It’s already helped a lot of people understand basic things about being safe online, and how to protect your data and privacy. I love that it’s written in a way anyone will understand. Highly recommended to also send this to your non-techie friends and family! Tom Klaver has used this product for one month. Hey @danielverlaan, Have you ever been hacked? @juanbuis Thanks for the kinds words Juan! @akdm_ Hi Anthony! Thanks for your reply. All the chapter images like the one above have a bit of noise as you can see, the website doesn't add noise. The designer (Laura Kolker) added the noise. I could choose between images with or without noise, and I found the images with noise a bit nicer. @danielverlaan Thanks for your reply Daniël. Yes I know that isn't added by any CSS styling :) My question was indeed what technique did she used to add this noise, as if it's a global (white) noise or something else. But I guess I'll contact her directly! Thanks again. @danielverlaan Thanks Daniël, I've contacted her! This is very extensive and useful. I will certainly be sharing this with my whole team, friends and family. @alexjimandrews Thank you, that's great to hear! A completely free payments account.